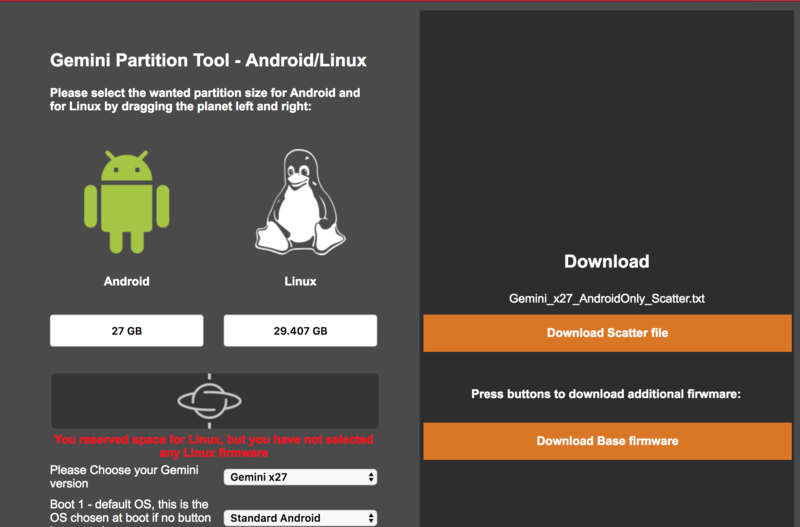 Customise your Gemini partition table. 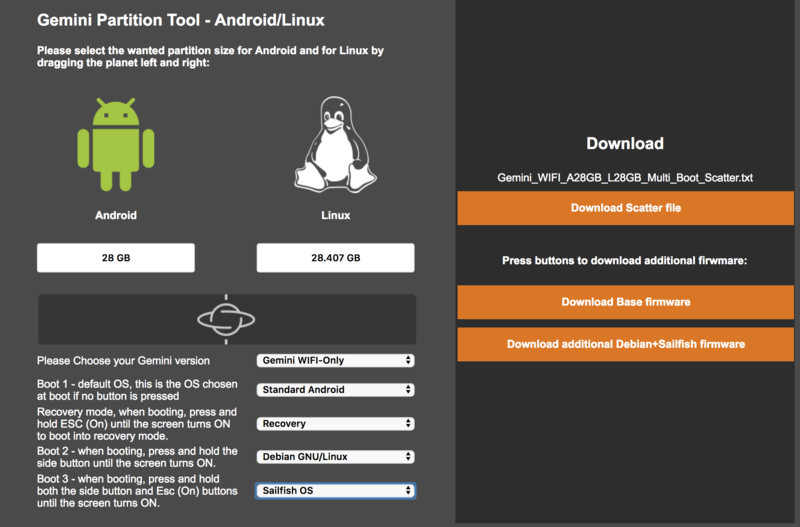 Using a simple tool, you will be able to specify the space you want to reserve for Linux and for Android. You will also be able to choose the firmware to download, at the moment we support Android, Rooted Android, Debian and Sailfish OS. Next, just click the Read Back button, connect your Gemini to your PC and restart the Gemini. Once booting, the flash tool will detect the unit and will write the NVRAM partition on a file on your hard disk called NVRAM0 (see screenshot below). It’s a good idea to keep this file as a backup, together with the customised Scatter file. If you choose to flash the rooted Android firmware, remember that you will have to complete the process by installing Magisk Manager.